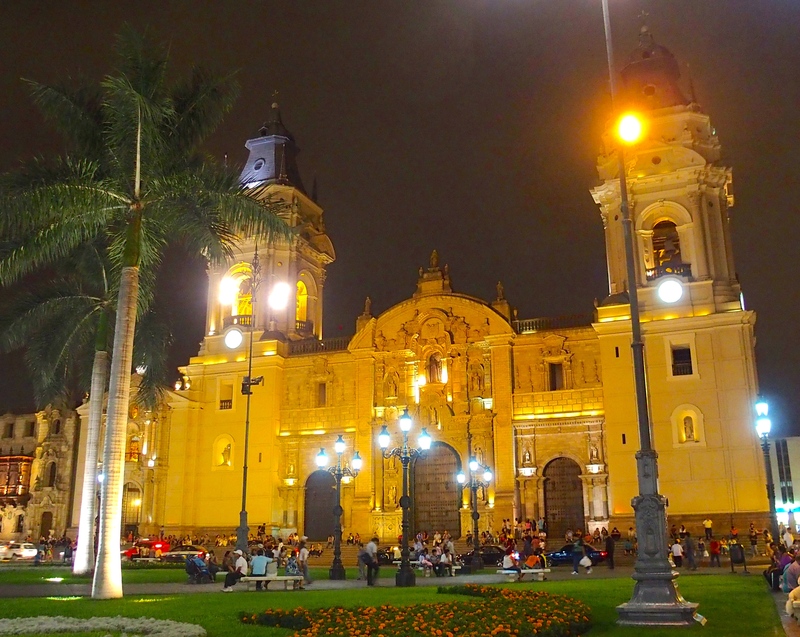 The Old Town of Lima, Peru is filled with buildings from its development as a colonial capital beginning in the 16th century after the Spanish explorer Pizarro overtook the region from the Incas. The Government Palace at Plaza Mayor, built in the 1930s on the spot where Pizarro established his adobe palace in 1535. 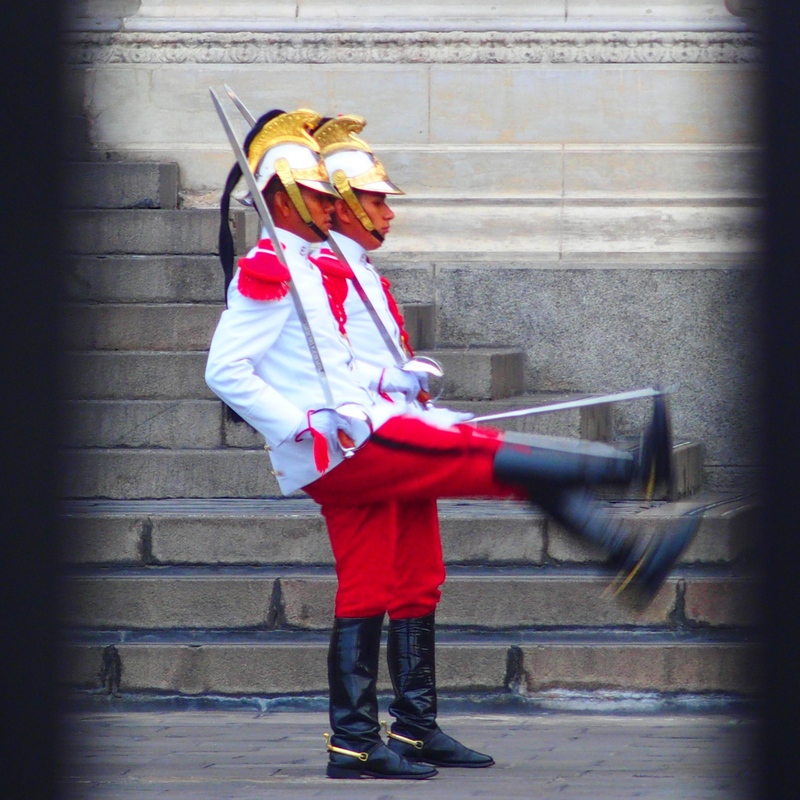 We watched the changing of the guard in front of the palace. How do these men function in their long-sleeved tunics, helmets, heavy boots, and gloves in the equatorial heat? We were dying in shorts and t-shirts. Different colors, but the same high steps we’ve seen in ceremonies like this around the world. The country is about to see a changing of the guard in its political leaders. 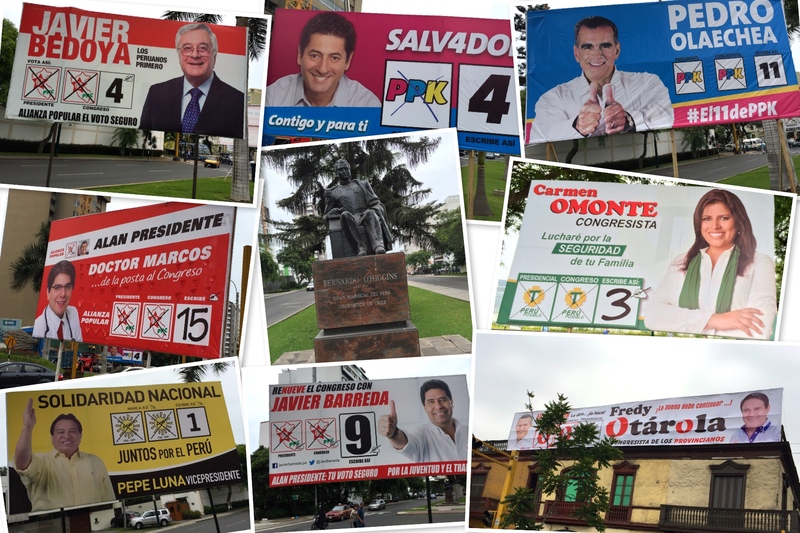 Peru has close to 30 different parties and they all had giant billboards along the main streets of town. Looks like the U.S. Republican Party candidates before the winnowing process. As in other South American cities, old churches are among the largest and most significant buildings. 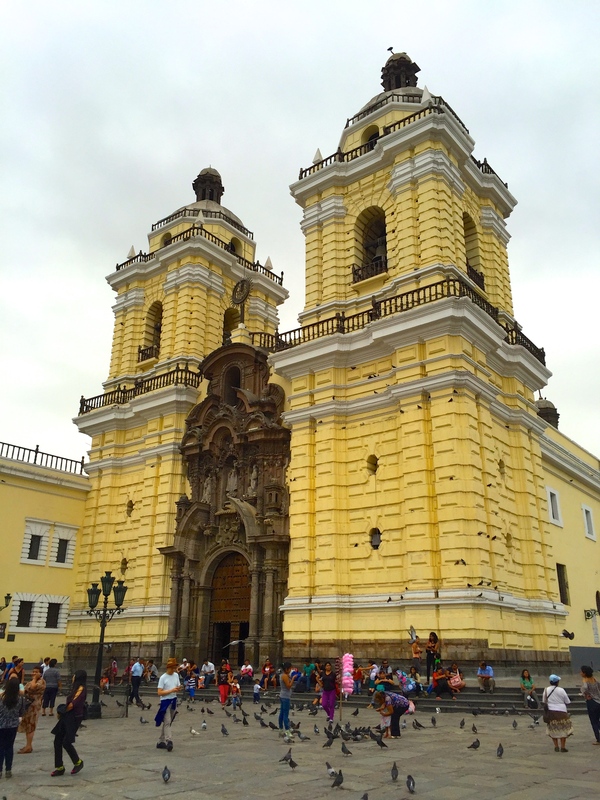 The Monastery of San Francisco, with a bright yellow facade, sets the color scheme for the whole Centro Historico. 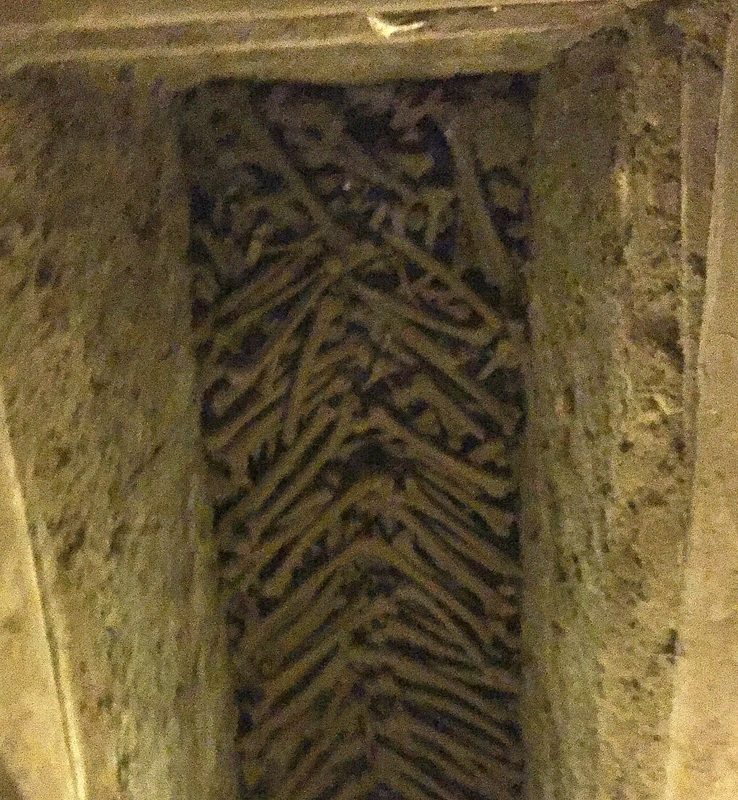 Inside we visited the catacombs where an estimated more than 25,000 bodies were buried. Walking through these dark passages deep underground is a bit creepy, partly from the presence of all these bones and skulls, but also because of being under a massive structure in the heart of earthquake country. Not to worry, according to our guide. The church has withstood many earthquakes in the past. It’s the safest place to be in town (but still creepy). This is just the top layer of bones and skulls. 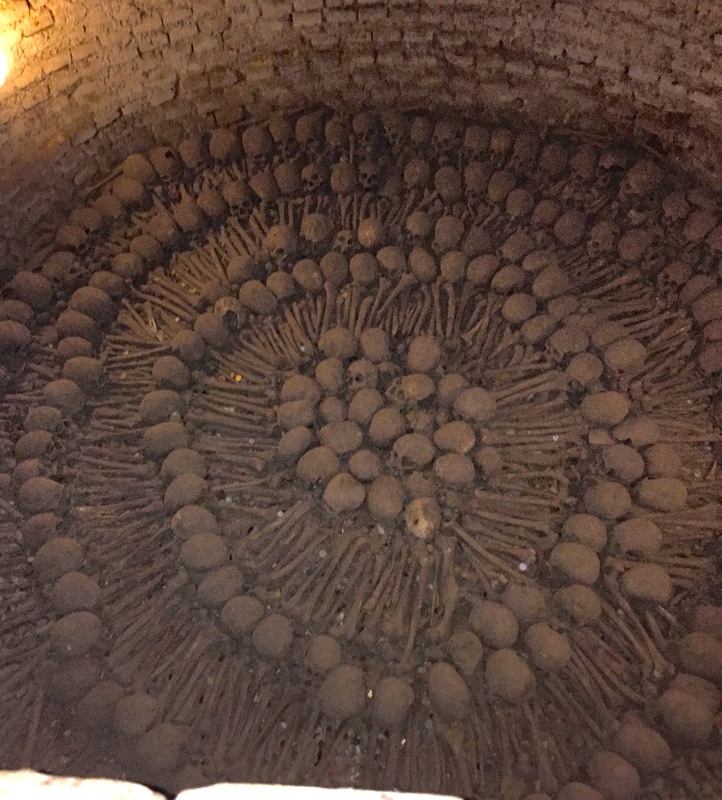 People were not decapitated and buried this way; it’s an artistic design made by the archaeologists who have explored the crypt over the last 70 years. Imagine trying to do DNA testing and skeleton reconstruction on all these bones. After coming out of the crypt, we took a tour of the old town at night. 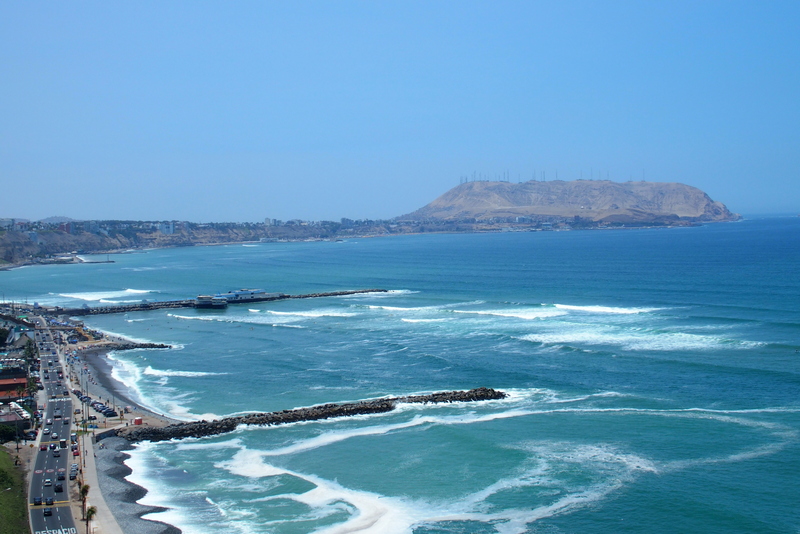 An earthquake hit Lima in 1746 destroying many of the original buildings. Newer buildings were added to the site with a similar neo-colonial design and bright colors, making the buildings around Plaza Mayor simply glow. San Martin has a big presence in Lima. 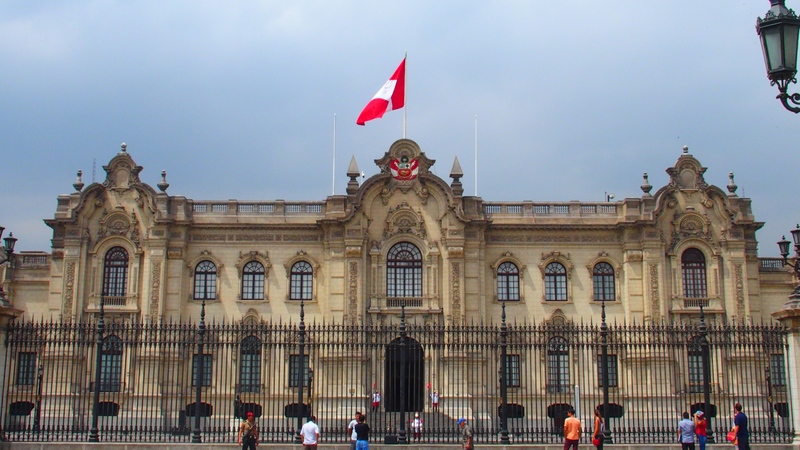 After his travels from Argentina over the Andes to Chile liberating the region from Spanish rule, he continued his path north to Lima and liberated Peru in 1821 in front of the Government Palace. The site of this fountain in Plaza Mayor was once the city gallows. 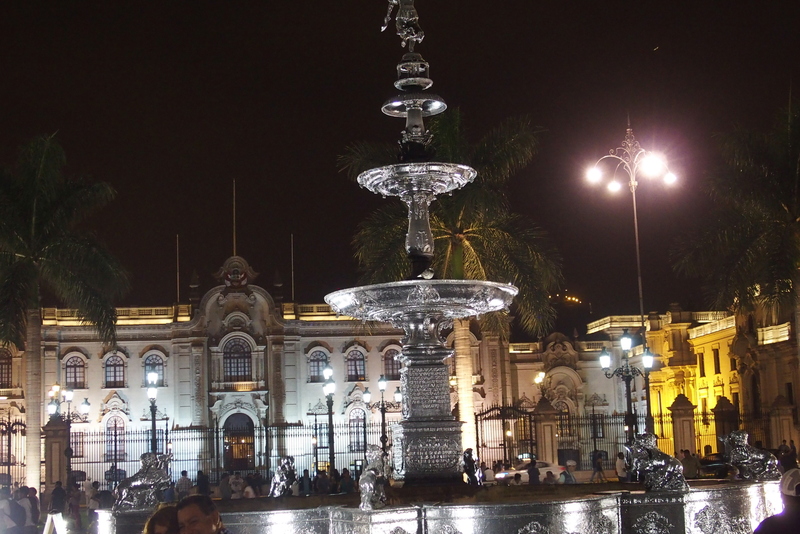 Moving forward in history, Lima’s mayor made an inspired investment in the city in 2007. 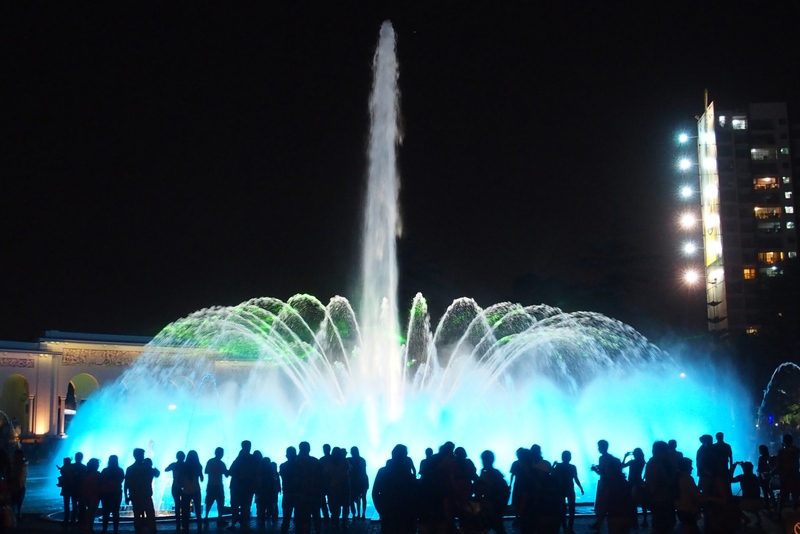 A section of the Parque de la Reserva was reinvented as the Magic Water Circuit. Admission to the site has a fee (equivalent to $2 US) and lines of thousands of people formed to access on the Friday night we visited. 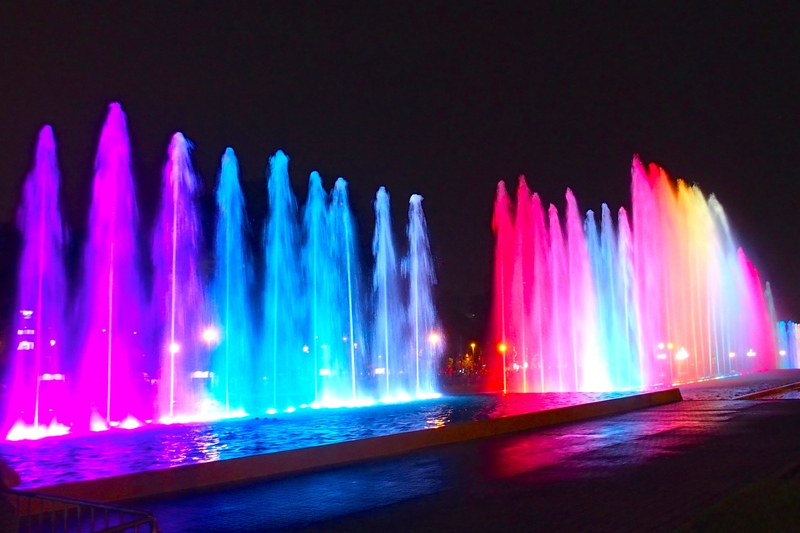 The park has 13 fountains, some timed with lights and sound, similar to the fountains at the Burj Khalifa in Dubai. One of the attractions of the fountains is the opportunity for a hands-on experience, or perhaps foot-on. Visitors come with bathing suits and a change of clothes and join hundreds of others standing on the fountain platform with sprays shooting up and drenching them. While the idea for the fountain park was originally criticized by other civic leaders, the outcome has provided significant affordable pleasure for local residents looking for a fun escape from the heat. Besame mucho! (Kiss me a lot!) 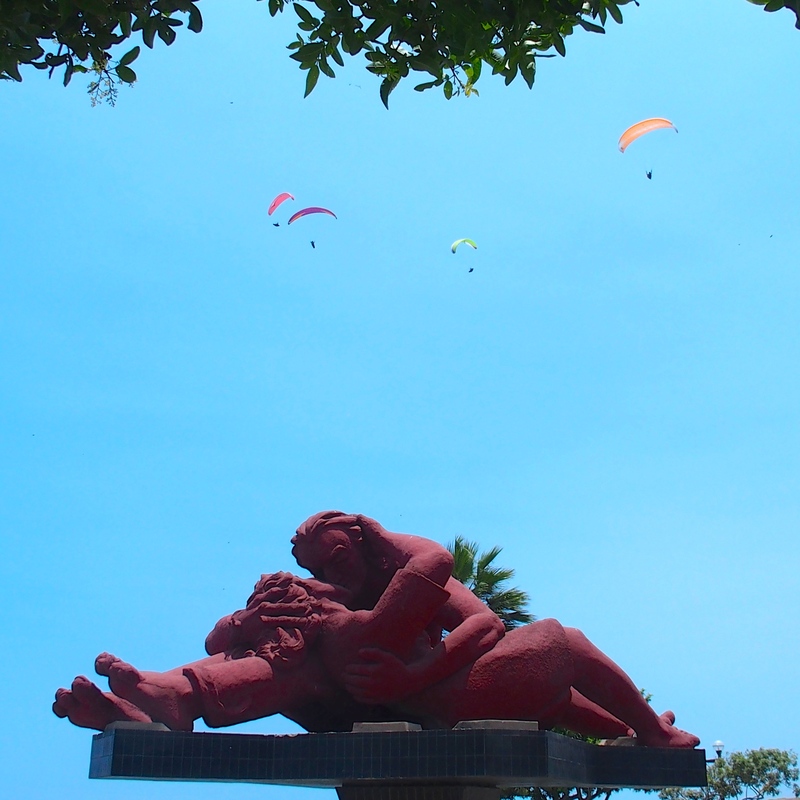 That’s a good description of one of the most famous attractions in Lima, a sculpture of “The Kiss” next to a pleasant walkway along the ocean in the Parque del Amor (Love Park). People arrive for a romantic sunset with the sun streaming over the wrapped arms and legs of a couple. 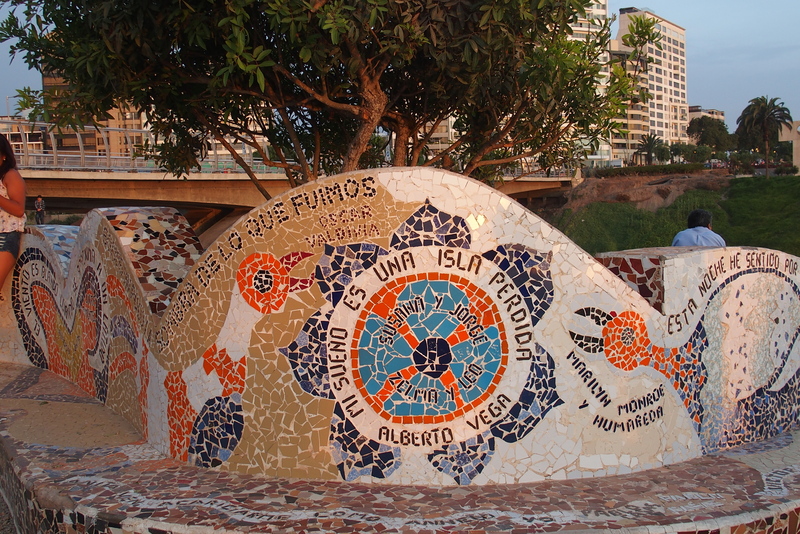 The artist (and barefoot subject with his wife) is Victor Delfín, who created the sculpture to celebrate the lovers who come to this romantic spot in Miraflores. Dozens of paragliders flying over The Kiss. We saw one couple who looked to be celebrating their wedding accompanied by a young girl, probably their daughter, photographing them. Delicia and Alberto will again hold these cut feathers. A beautiful way to end our stay in Lima. Note: This visit was actually in March of 2016, with an extended blogging hiatus before the write-up. Too much life going on in the meantime. 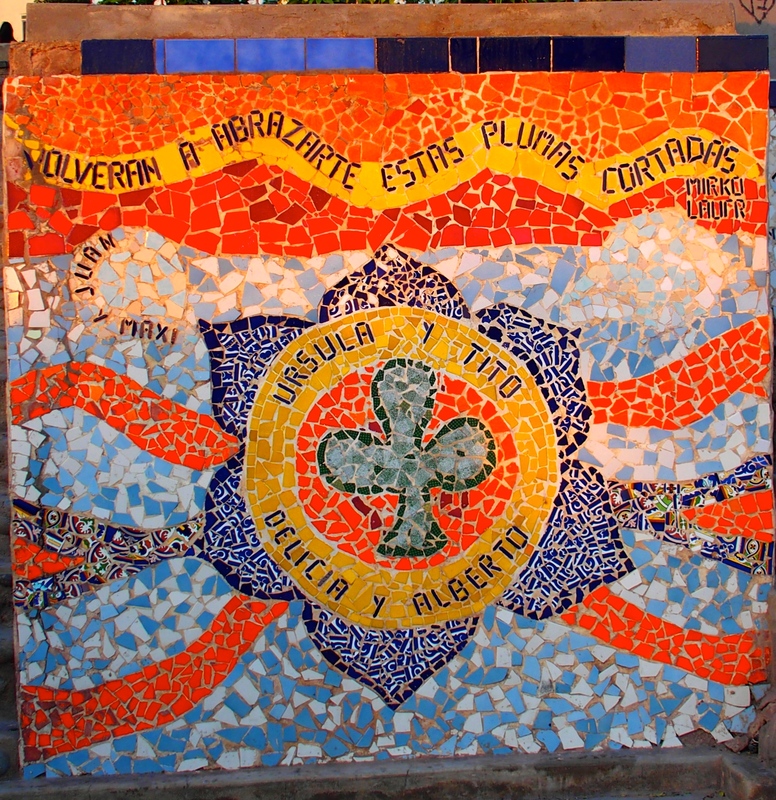 This entry was posted in Travel Journal and tagged art, Lima, Peru. Bookmark the permalink. In the future, you can referred to this hiatus as the Julian Interruption. Glad he’s here and glad you’re blog is back.